When you start to get your groove on the dancefloor empties? The greasy business students make you look like losers? MC Hammer represents a brilliant dancer from the year dot and as far as you’re concerned disco fox is an animal? Brilliant! 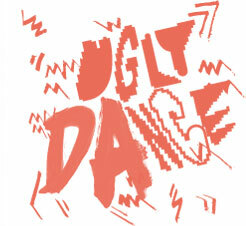 Apply for the 3rd annual Ugly Dance World Cup. Put together a strong team with 2-4 members – that’s way more nasty than alone! If it’s important for your performance, any number of other dancers are allowed to appear in your application video. The 2-4 main players should be clearly recognizably, though. Produce a short movie with a horrid dance performance (approx. 40-120 seconds, fine cut or one-take, snapshot camera or HD...everything is fine; it's your decision). Once you are hanging out please take a horrible team photo, too. Upload your video on YouTube. Important: Please name your video in the following way: 3rd annual Ugly Dance World Cup + name of your team! Such as “3rd annual Ugly Dance World Cup – Team Bangbus”. IMPORTANT: Be aware of music copyright. There might be a chance YouTube doesn't accept your video. In this case try Vimeo.com. Another tip: don’t use chart music, stay underground, this increases the chance to be accepted by YouTube. Please fill out the following application form. The ugly dance team of excellence will link your video on www.uglydanceworldcup.com and www.facebook.com/uglydanceworldcup to share your deformity with the world. And that’s all! A jury selects the 9 most hideous teams which will perform live at the 3rd annual Ugly Dance World Cup October 15, 2011, Club Terrace Hill in Hamburg, Germany. But there’s a Joker, too: The team who boast the most clicks on their video between August 15, 2011 and October 7, 2011 receives a wild card and is automatically nominated as the 10th team in the game. On October 10, 2011 all nominated teams will be informed regarding their participation. And now put on your dancing shoes and get ugly!!! If you have any question don’t hesitate to contact us on dance@uglydanceworlcup.com.